My trail name is Found. I’m obsessed with backpacking. I have been from a young age. I’m a weekend warrior, a vacation destination backpacker and a sometimes long distance hiker. In 2002, I set off for ~30 days on the John Muir Trail. In LeConte Canyon I stepped off a ledge and broke my foot. That ended my first “long” distance hike. After graduating college, full of freedom and driven to explore, I chose to spend as much time outdoors as I could. I like walking. I really like backpacking. In 2006, I walked the Pacific Crest Trail. In 2008, I walked the Colorado Trail. 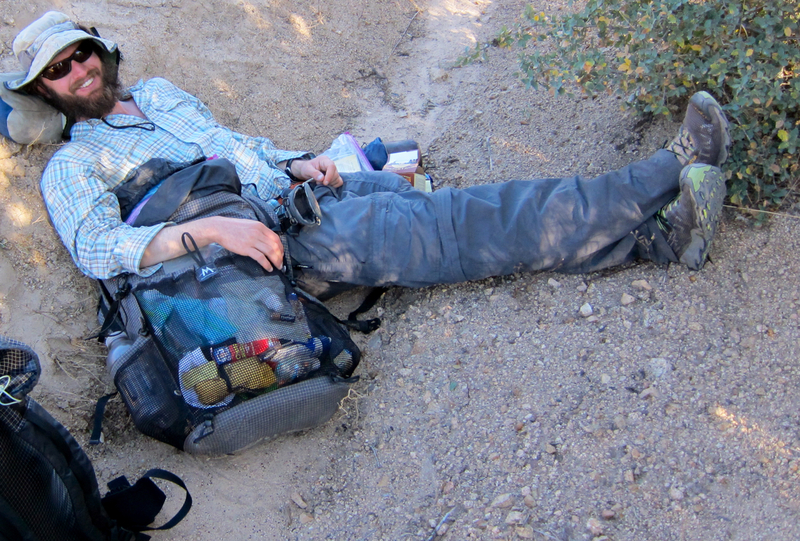 In 2010, I walked the Continental Divide Trail. In 2011, I started the Appalachian Trail, then quit to take a fantastic job opportunity. Incredibly, Backpacker funded my PCT and CDT thruhikes. I carried a GPS for them and recorded the trails, tested gear and generally made a ruckus. The PCT, CDT and AT form what is called the “Triple Crown” (of hiking). I’m not attached to finishing the Triple Crown, but since I like long distance walking, and the community that surrounds these trails, I assume that I will. At this juncture, I imagine that I’ll do some other very long walks in my life. I’m most interested in the Hayduke Trail, the Great Divide Trail, the Great Himalaya Trail and walking across the Pamir mountains. There are many special things about long distance hiking. I love it very much.